Hon. 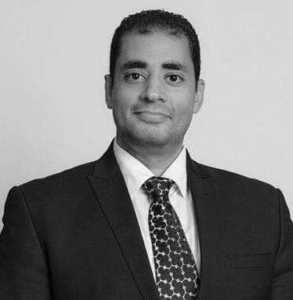 Dr. Sherif Elnegahy is an accredited mediator and Chief Judge of the Egyptian Judiciary, with more than twelve years of experience with the formal justice system as a lawyer, public prosecutor, prosecutor manager, judge and currently as a Chief Judge. He holds a Ph.D. in mediation from Strathclyde University, United Kingdom, where he also worked as a Law Tutor and has taught mediation and law to British and international masters students and undergraduates. Hon. Dr. Elnegahy has trained judges and court staff from Egypt, Saudi Arabia and other countries, on mediation. Hon. Dr. Elnegahy has acted as a mediator, co-mediator and shadowed more than 100 cases at the following institutions: Cairo Economic Court (Egypt), The Arab Mediation Center, Glasgow Sheriff Court (Scotland, U.K.), Los Angeles Superior Court, Alternative Dispute Resolution Department (Los Angeles, CA), Santa Monica Superior Court (Los Angeles, CA), American Arbitration Association (AAA) (Los Angeles, CA), Arbitration Mediation Conciliation Center (Los Angeles, CA) and at JAMS offices in California and New York. Hon. Dr. Elnegahy is the recipient of Fulbright and Chevening Scholarships, also he is a Weinstein JAMS International and Rotary Peace Fellow and he is CEDR London Accredited Mediator.